Fitness has never played a more important role in human life than it does today with fitness products and new diets coming out almost every single day with a promise of a healthier tomorrow for any who would dare. 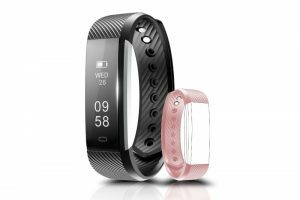 Even if you have a small stature, you will find diets and equipment that can help you with your fitness goals, such as the best fitness tracker for small wrists that are available on the market right now. 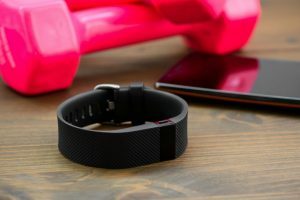 These fitness trackers are stylized as chic watches that can be worn with any outfit, and most designs are well-thought of so that they would not clash with any fashion statement. This enables the watches to transcend the line between fashion and fitness while retaining its utilitarian nature intact. 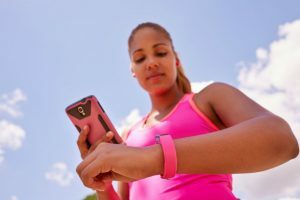 The global marketplace is littered with smartwatches and fitness trackers that offer this feature or another. Not all of them can fit small wrists though as they are marketed more towards individuals with average physiques and statures. Here are three fitness trackers that are made specifically to fit small wrists. 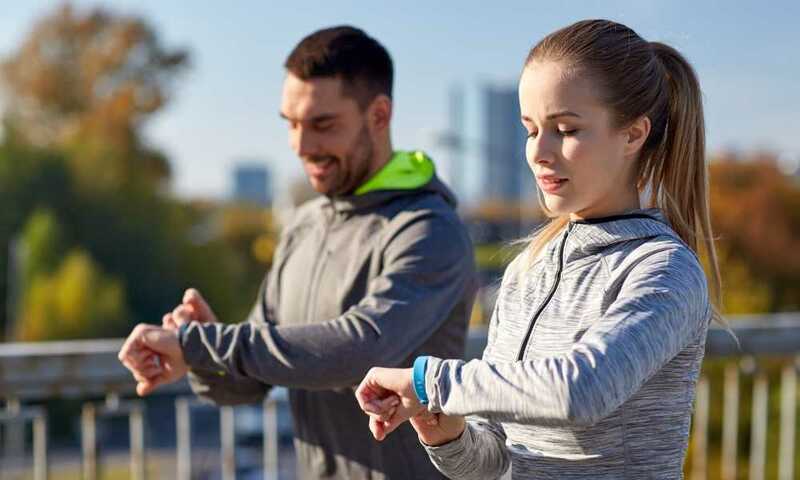 The Amfine Fitness tracker is tagged as the professional athlete’s activity tracker because of its up-to-date applications and high-quality design. It comes with its own mobile app that is compatible with both iOS and Android mobile devices. This tracker can sync with your mobile phone which can forward calls to your tracker and cause it to vibrate and display the caller information on its screen. The tracker can receive and display notifications from social media sites as well as from the SMS message folder on your phone. This tracker can track and record your steps and the distance you’ve walked, as well as the calories you’ve burned. This tracker is capable of tracking your sleeping hours, and it also has a silent vibrating alarm to wake you up. 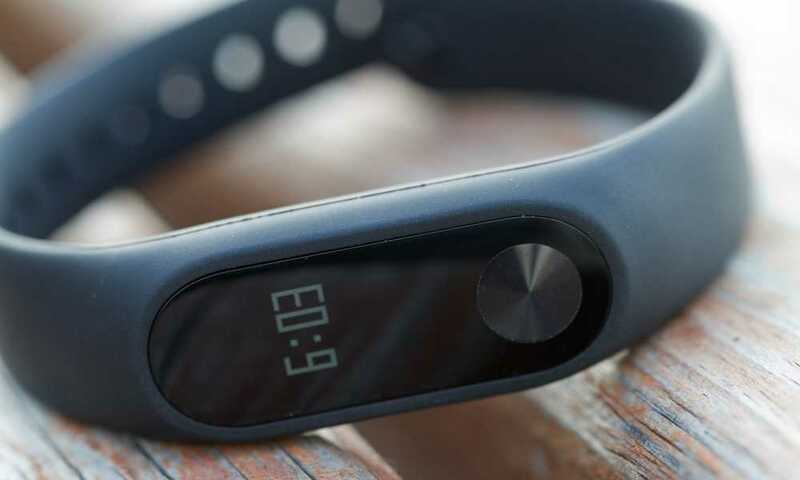 This tracker watches out for your moments of inactivity and alerts you to move about. The tracker has a remote control functionality that syncs with your phone’s camera and lets you take selfies from any angle. A single two-hour charge of this fitness tracker lasts for more than one week, even in active mode. This tracker can sync and work well with any operating system; even the Bluetooth connection is fast. The notification feature of this tracker is perfect for people on-the-go who can’t always look at their phones all the time. The mobile app not only lets you track your daily steps, but it also lets you set your fitness goals and helps you achieve them on a daily basis. 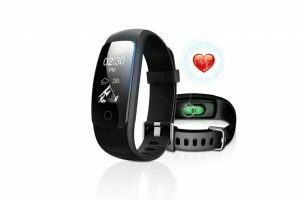 The band of this fitness tracker is comfortable and secures around wrists sized 5.5 inches to 8.2 inches. 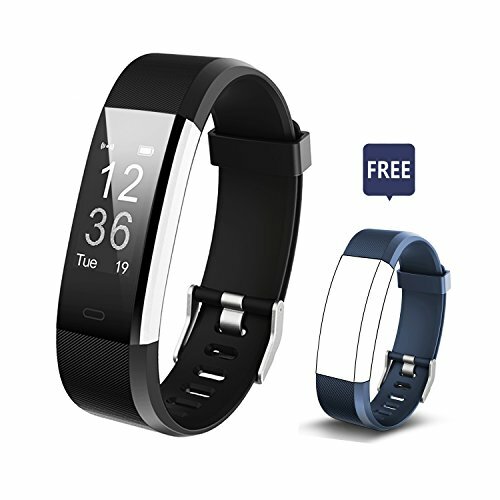 This fitness tracker is easy to use and set up. The remote control for mobile phones does not seem to work all of the time. It takes quite a bit of time for the data from the wristwatch to sync with the mobile app. The OLED display is bright and readable indoors, but it tells a different story outside as the digits are not readable under broad daylight. The Arbily Fitness Tracker is a waterproof tracker that can sync with both iOS and Android devices. It also comes with its own mobile app that can track your activities for you. The tracker not only comes with an activity tracker, but it also monitors your heart rate both during periods of high activity and during moments of rest. The built-in USB charger ensures that the tracker is always charged even while you’re working or just browsing the web. This tracker has several training modes including running, cycling and walking. This tracker can serve as your camera phone’s remote control. The device uses GPS technology to maintain a fix on its current location which also doubles as an anti-theft feature. This fitness tracker can pick-up notification alerts from your phone and displays them on its screen. This tracker has an IPX7 rating that lets you use it while it’s raining. The step and sleep measurements seem to be accurate enough, and other devices can confirm the data. The design is chic and stylish, but it also keeps a low-profile. Several clock interface designs switch to the tracker’s other functionalities. The battery does not last long especially if you are using it for call and message notifications. Scanning the QR Code to sync the app can take some time to accomplish, and can hinder the initial set-up of this device. The heart monitor works, but you would need to wear the tracker more tightly than usual as it would not read anything otherwise. The tracker is not worth much when staying at the gym as it cannot track weightlifting reps and such. 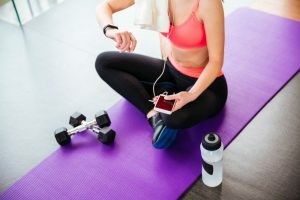 The mobile app can publish data to other fitness apps, but the measurements are not that accurate. The AGKupel Fitness Tracker is a lightweight fitness tracker that is capable of tracking multiple exercises and comes in a sleek and modern design. This tracker can provide real-time heart rate and pulse reports on your wrist. The tracker comes with a 0.96-inch OLED screen, as well as a customizable interface. Incoming calls and notifications from your phone are displayed on the screen. This tracker tracks your activity and reminds you to keep moving after detecting an extended period of inactive time. This tracker syncs with your phone and acts as a remote control for the camera for those important selfies. The OLED screen automatically lights up once you turn your wrists towards you. The measurement readouts of this tracker are easy to read, and it motivates you to move around. The band of this tracker fits snugly on any arm sized 5.5 inches to 8.2 inches. The tracker takes an accurate measurement and is ideal for people who are tracking their health statistics religiously. This fitness tracker has a long battery life, and it comes with a USB charger too. This device must always be used in conjunction with a smartphone. Otherwise, it would be hard to reset profiles and steps. The pedometer does not record steps over very small distances, and the sleep monitor does not restart once you wake up to go to the bathroom. The Bluetooth connection is not that strong, and you may need to restart it to get a better one. 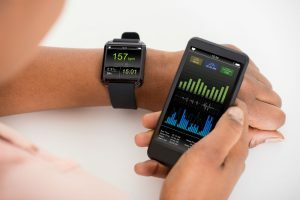 The features of all three trackers that were listed are all similar with smart and stylish designs, as well as OLED screens with bright displays. 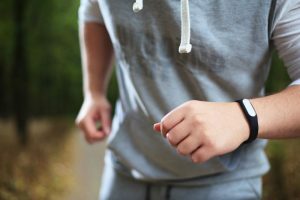 Each tracker can also track multiple sports type, from running to walking, and they can even track your heart and pulse rate. 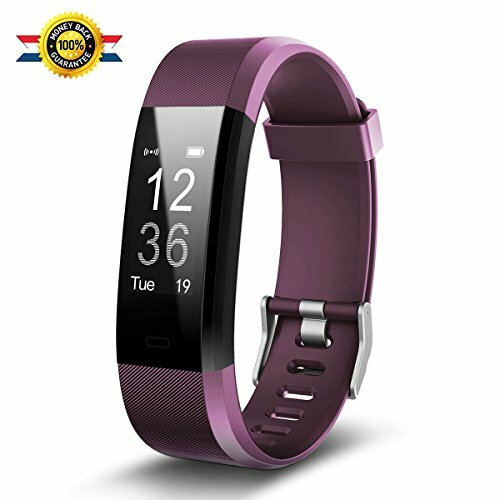 With all these similar features and performance readouts, the best fitness tracker for small wrists is the Amfine Fitness Tracker, especially since it is easier to set up and use. 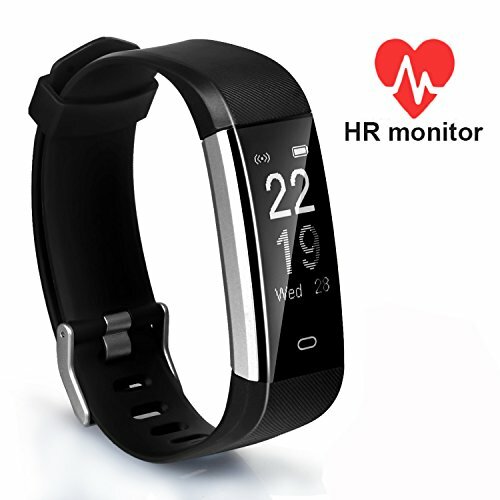 This tracker also comes with a band that feels comfortable around a wrist sized 5.5 inches to 8.2 inches, and the battery life is worth taking note of. 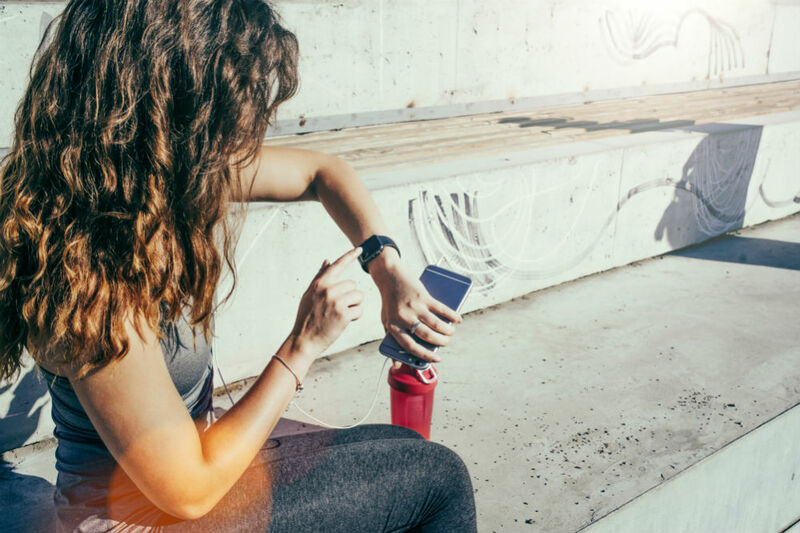 Fitness trackers aim to help you be more efficient when it comes to hitting your fitness goals, and trackers for smaller wrists aim to do that without compromising on the features and the technology that they possess. These devices are here to help, but they were never made to achieve your goals for you. Add it to your regimen of regular exercise and diet, and see those pounds shed into nothing.